The H700i showcases NZXT’s vision for modern PC building. This premium mid-tower case features a unique CAM Powered Smart Device that digitally drives RGB lighting and fan performance. You can effortlessly control RGB lighting and fans, while Adaptive Noise Reduction optimizes your build’s acoustics through machine learning and ideal fan settings. Includes four integrated Aer F fans and two RGB LED strips to enhance the aesthetics of your build as seen through the H700i’s stunning tempered glass panel. The H700i’s unique Smart Device includes features from our HUE+ and GRID+ V3 digital controllers, allowing for effortless control of RGB lighting and fans through CAM software. Customized lighting is streamlined with two integrated and individually addressable RGB LED strips. 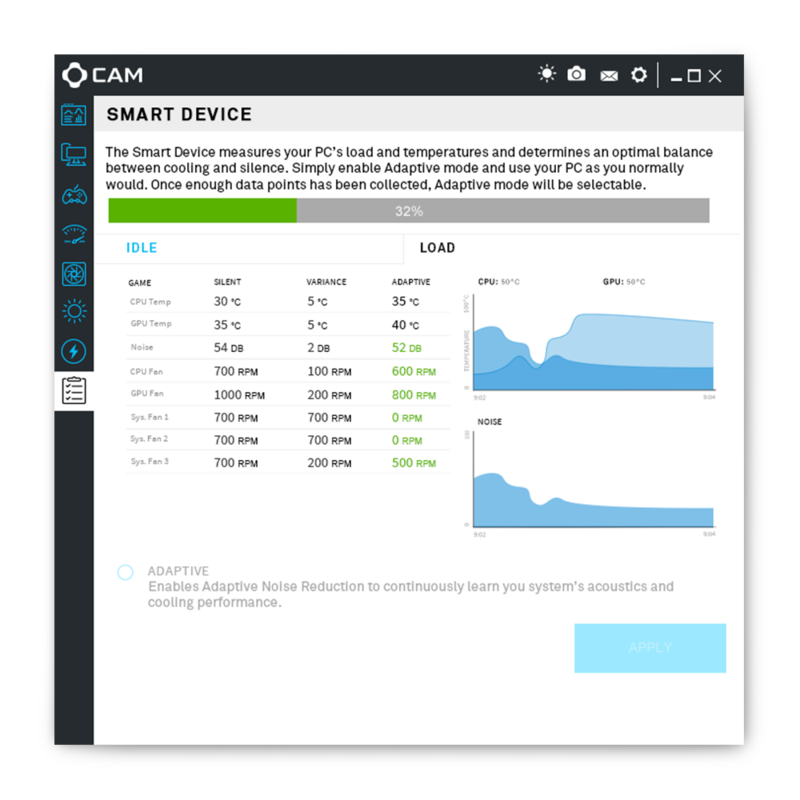 Don’t waste time checking compatibility, installing, or manipulating physical buttons; our out-of-the box, elegantly controlled CAM software is all you need. The H700i is available in four color combinations to match your taste, and its elegant all-steel construction is shared across all sizes in the new H-series. The tempered glass panel and signature PSU shroud showcase beautiful builds.